SUVs are a lucrative segment in the Indian auto market. While there are a lot of great SUV offerings that attract thousands of buyers each year, some cars seem to appeal to almost nobody. India’s auto market is full of potential as demands are huge, yet it also is a gruesome market for the manufacturers and suppliers because everyone wants a piece of the big fat pie. The big companies in the auto market made an attempt to break into the SUV segment, and interesting enough, some famous cars that made a name for themselves in the world did not stand a chance in the Indian market. Believe it or not, the sales of a few vehicles are so poor that they have yet reached double digits. Let’s take a look at some of the cars that do not perform so well sales wise in India. It is quite surprising to see that a worldwide company like Chevrolet is not doing so well in the crowded market of India, but this automaker has a record of underperforming in the SUV segment with their Chevrolet Captiva. Despite having quite a disappointing experience Captiva, Chevrolet did not give up hope and rolled out the Chevrolet Trailblazer, which, at that time, had been having positive feedbacks from nearby Asian countries. Unfortunately, Chevrolet does not make it again with the Trailblazer as the SUV seems a bit lacklustre when compared to other offerings on the market. 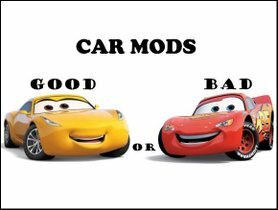 The car has one major advantage, that is it is quite big. Actually, Trailblazer is the biggest car in the segment. The massive body allows the people sitting in the car to have a comfortable time. But huge size becomes quite a problem when it comes to India because the streets here are frequented by congestions. Moreover, Chevrolet only offers one variant of the car, which makes us really frown hard and wonder why, as we all know that car buyers want variety and the most financially successful cars in the country are available in loads of variants. While there is a lot to improve with Chevrolet Trailblazer, we do hope that some changes will be made early so that we can have a well-rounded big and roomy SUV that can truly blaze the trail for Chevrolet to penetrate the segment. Honda is quite popular and well-loved by car owners, so you may find it strange to see a Honda car listed as a top low-selling SUV. The case with Honda CR-V, in one aspect, is not very different from that with Chevrolet Trailblazer, because the car sells well in other Asian countries, but not in India. Honda is famous for their superb petrol engine that delivers unbeatable performance. In the past, Honda’s petrol cars like Honda City or Honda Civic did really well in the market, but the interest in petrol cars has subsided owing to the demands and requirements of car buyers. 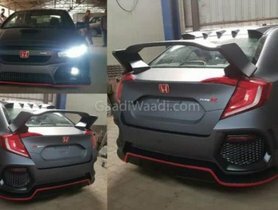 What used to be the strength of Honda now turns against the company and directly affect the sales of a good product like Honda CR-V. Realizing their weakness, the firth-gen Honda CR-V is now armed with both diesel and petrol engines. This addition of diesel option is hoped to put out a better performance. Mahindra Nuvosport had a quite unfortunate beginning as a curtailed Mahindra Quanto in Mahindra’s attempt to make a compact SUV. Mahindra Quanto was the MUV that had an unappealing design and poor performance, which in turn translated into low sales. 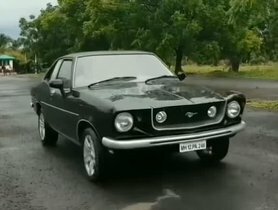 So, Mahindra was determined to make a strong comeback; they noted down all the things that could have been improved, gave Quanto a major makeover, and transformed it into Mahindra Nuvosport. Here is the thing: the idea to turn an MUV into a compact SUV was wacky since the beginning, especially since the MUV was not a good product to start with. As a result of the makeover and change of name, Nuvosport received an improved look but not much of improved quality or improved engine. 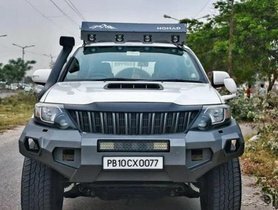 So Mahindra Nuvosport has not become as much of a success as the brand expected it to be. The original Mitsubishi Pajero was a legendary car in many countries. It was so popular that many car owners would love to have a Pajero parked in their garage and waiting for the most exciting adventures. Sadly, that was the story of the previous century. The Japanese car maker decided to renovate the iconic Pajero, so they introduced the Pajero Sport, and the new car has never gained much popularity since its advent. If the original Mitsubishi Pajero was famous for its powerful engine and strong design, the new Pajero Sport is known for the complete opposite. Even though Mitsubishi gave the Pajero Sport a more modern and sleek look, it only appears as weaker and softer to most people. Also, the more eco-friendly engine is perceived as less strong than the old one. The result of such renovations is such slow-selling sales. Tata Aria, upon its first release, attracted people’s attention as it was the first time Tata Motors ever tried their hands on creating a premium car. When it was launched, people were super excited because the car had a beautiful European-like design and boasted a lot of features. However, after a while, Aria users started to notice problems with built quality and the longevity of parts. In addition to that, the association of the name Tata with average-quality cars was so strong that it was difficult for the company to break into the premium market. These cause the sales of Aria to stick to the bottom of the chart. 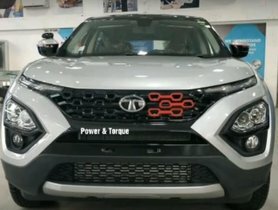 Nonetheless, Tata has replaced Tata Aria with Tata Hexa, and we do have a lot to look forward to.